The Communist Party USA indignantly denounces the cowardly drone attack on President Nicolas Maduro of the Bolivarian Republic of Venezuela. While we are glad that the attack failed to reach its target, and we express our solidarity with those persons who were injured. The capture and punishment of the individuals responsible for this atrocious act is of greatest importance. However, we note that the attack would not have taken place had it not been for the support that right wing forces inside and outside Venezuela have been giving to efforts at economic sabotage and political and social destabilization in this country of 30 million people. Interference in Venezuela’s internal affairs, vicious unilateral economic sanctions which aim to deprive Venezuela of international financing and other things, all are aimed at hurting the Venezuelan people with the idea that they will rise up and overthrow their government. This was what has been tried with Cuba for more than 50 years, without success. The government of the United States, under the presidency of Donald Trump and influenced by the most reactionary sectors of transnational monopoly capital, has a lot to answer for. It came as no surprise to us to find that last year, Mr. Trump had asked his advisors why the United States could not simply invade Venezuela to overthrow its democratically elected government. Nor do we give credence to the statement of U.S. National Security Advisor John Bolton that the United States had nothing to do with the drone attack. History suggests that all should be highly suspicious of such assurances. We will not forget Iran in 1953 (exactly 65 years ago this month), Guatemala in 1954, Chile in 1973 and myriad other such interventions. We deplore, also, the biased coverage of the situation in Venezuela in the corporate controlled US press and media, which attempt to portray Venezuela’s problems as unrelated to United States government and corporate policies. 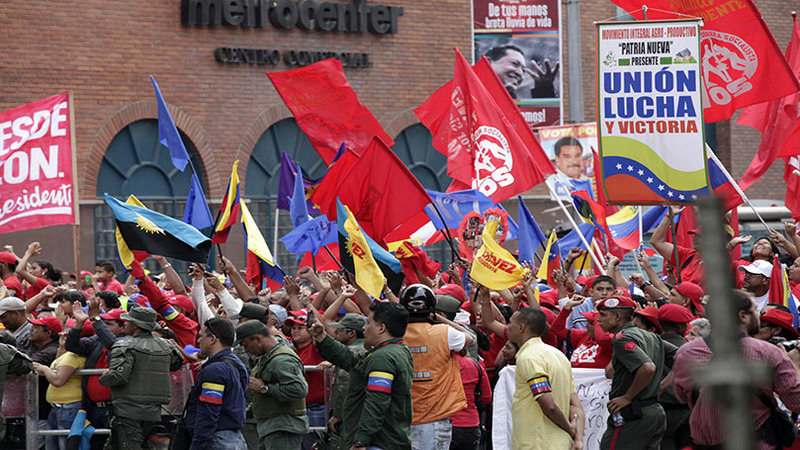 Once again, the Communist Party USA sends its solidarity greetings to the government and people of the Bolivarian Republic of Venezuela.